India has developed and changed vastly over the years, but it has somehow managed to preserve and sustain its heritage. 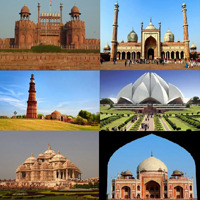 The diversity, culture and tradition that India holds are evident in the landmarks and markets of India. Allow Jagannath Tour & Travels to take you on the most edifying and comfortable Domestic Tours. Based in Kolkata, West Bengal, we offer comprehensive packages for Beach Island Tours, Pilgrimage /religious Tours, Heritage & Culture Tours, Wildlife Tours, Cruise Holiday Tours, and Hill Station Tours for all over India. We specialize in offering services for Leh Ladakh, Jammu & Kashmir, Himachal Pradesh, Uttaranchal, Uttar Pradesh, Madhya Pradesh, Rajasthan, Maharashtra, Gujarat, Kerala, Andhra Pradesh, Tamil Nadu, Orissa, Andaman & Nicobar Islands, West Bengal, Sikkim, Arunachal Pradesh, Goa and Delhi NCR. We can also be contacted for exclusively designed according to your needs and budget!